Editor’s Note: This piece won First Prize in the first annual SAGE Magazine Young Environmental Writers Competition. We rolled around the shallows of Lake Michigan like beached whales, my sister and I. As a six-year-old, I couldn’t see land on the other side, but the water didn’t make my lips crinkle or taste like salt. “It’s a lake,” my parents said. “Who made it?” I asked. “No one,” they said. It just was. The next summer, back home in California, we waded into the icy, mulch-covered shoreline of Big Bear Lake. This seemed like a lake, too, but then my dad clarified: Someone had made this lake. Big Bear Lake was a reservoir, Bear Creek transformed, the accumulation of a once-flowing river halted by a cement dam and corralled into a natural canyon. A few winters later, during Christmas break, my family and I drove north from Los Angeles to Mammoth Mountain, a six-hour drive that crossed over the great cement river of the California aqueduct. We crammed our feet into ski boots and trundled to the lifts, poles flailing. It had been a mild winter so the slopes were manned by great rumbling machines—they looked like giant hair-dryers pointed skyward—that spewed white flakes across the groomed hills. My sister, ten years old and annoyed by the rumbling, informed us that she did not like the fake snow. I didn’t get it. How was fake snow different from real snow? They were both cold and white and melted on my nose. How was a constructed lake different from a natural lake? They were both holes in the ground filled with water. When I returned to my fifth-grade classroom, I learned about the water cycle in a classroom full of glitter- and glue-covered poster boards. Arrows of water burst out of cotton-ball clouds, sped towards the Earth in tight fists of rain, lingered on green blades of grass in wavering dew drops and finally shimmied upward again; the drops evaporated into the atmosphere and, eventually, returned home to the cloud. Condensation, evaporation, precipitation. The litany reminds us that the water exists in three states—solid, liquid, gas—and that even if we can’t see it, water is all around us. By the time I got to high school, my vocabulary acquired enough nuance—reclamation, aqueduct, ice crystal—that I began to understand the distinction among types of lakes—types of rivers, types of snow—as one of genesis rather than function. Humans dammed up fake lakes and machines spewed fake snow. Nature made natural lakes and real snow. The classifying language of science claimed to resolve the distinction between human-made and natural forms of water, and indeed, it seemed resolved for me until I returned to the lesson of that fifth grade classroom and began to think less about the receptacle of water than the water itself, part of a dynamic and cycling existence. Water was water—two hydrogen atoms and one oxygen—wherever it happened to appear, lake or stream, aqueduct or reservoir, snow-machine or summer monsoon. Did it lose its identity according to what force had shaped it? If engineers could coral these water molecules into a lake, if they could freeze them into snow to dust over a mountaintop… could they just make water appear wherever they wanted to? Was there such a thing as manufactured rain? Clouds form when water vapor in the air condenses into liquid water droplets. How or when water vapor condenses into droplets depends on air pressure and temperature and particulates in the air. Hot things expand and cool ones contract. Air near the hot earth rises, expanding towards the sky. Similarly, liquid water molecules simmering on the surface of a lake heat up, transform into vapor, and expand skyward, escaping unseen from their source. Thus freed, they latch onto the nitrogen and carbon molecules of the air. But as the once-expansive hot air—that air had welcomed those adventure-seeking water molecules—reaches the cooler stratosphere, it contracts. Colder and denser, the air no longer can hold onto all the water vapor molecules that had climbed aboard back down on earth. The air becomes saturated, and the water molecules must find a new host. That host is called a condensation nuclei. If the air were perfectly clean, clouds wouldn’t form; humidity would float in nebulous streams across the landscape. But the air isn’t clean; it is full of dust, salt, pollutants, and particles of ice that serve as gathering points for these wandering water molecules. Water molecules—still in their gaseous state—condense around these nuclei. After enough molecules gather, vapor becomes liquid. A droplet forms. More molecules gather. As molecules gather, the droplet gets heavier and heavier. Finally, finally: it falls. The most common naturally occurring condensation nuclei are ice crystals. The supply of ice crystals, however, is limited by humidity and temperature. Lacking condensation nuclei, water wanders vaporously throughout the atmosphere. Even as swaths of the Earth below cry out for rain, lacking condensation nuclei, there is nothing for water to do but wander and wait. Wait until a burst of dust or a high-atmospheric freeze sweeps the seeds of rain across the sky. For centuries, humans also simply waited. They waited for the condensation nuclei to arrive, for water molecules to crowd around these nuclei, for a drop to become—slowly, gradually—heavy enough to fall. Growing up in Los Angeles, beholden to the man-made lakes and rivers of the west, I didn’t realize that I lived in a desert. From what I could see, I lived on Hillard Avenue. Though the Santa Ana winds occasionally whipped dust through our backyard, mostly I sat in the backseat of the family Volvo as my mom drove along cement corridors to air-conditioned grocery stores. I turned on the faucet and water came out—why wouldn’t it? Water was as inevitable as sunshine. My complacency was the complacency of Los Angeles, the city built on possibility and the expectation that the Colorado River would forever irrigate its palm trees. I only began to question this when I left California and went next door, to Arizona—California’s water rival. 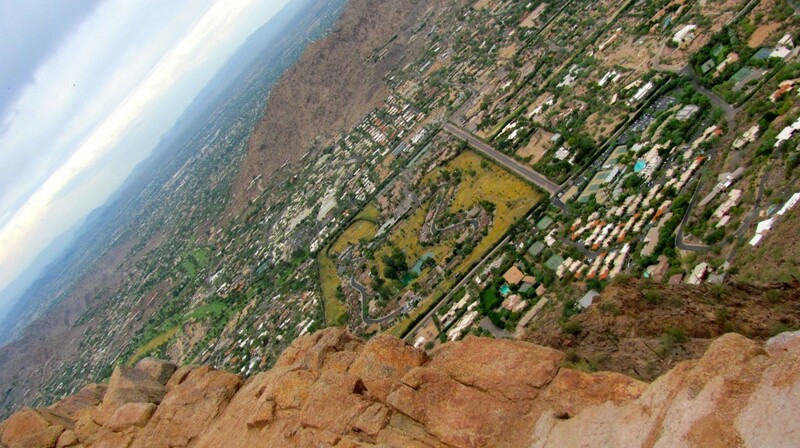 A view of Phoenix from above gives some indication of our heavy expectations for the Colorado River. I moved to Tucson, a scrappy cactus-adorned city plunked in the middle of the Sonoran desert. Dwellings in Tucson do not congeal into contiguous human settlement; they are concrete islands in a desert sea of mesquite and brush and tumbleweeds. Now, I run along dry riverbeds and swelter under the sun, and I begin to see, finally, the tenuous infrastructure that siphons water into my tap. How, before humans wrestled the desert into an uneasy submission, could this place have sustained life? Tucson is one of the oldest continually inhabited human settlements in North America—ceramic artifacts uncovered by archeologists suggest humans settled here more than 12,000 years ago. It is unbelievable to consider, yet populations of early inhabitants were sparse—and they had their rivers. The Santa Cruz, the Rialto, the Gila. Once seasonally flowing rivers, they are now only memories, dirt canyons that harden in the winters and flood effluent during summer monsoons. There are no running rivers and it never seems to rain, yet my toilet always flushes and my faucet always runs. Seven inches. Seven inches of annual rainfall, and there are a million of us in Tucson alone, flushing toilets and running faucets. But here, unlike in Los Angeles, the anxiety about all these flushing toilets and running faucets is palpable. Arizona has pumped more water out of the ground in the past 80 years than it will in the next thousand—like fossil fuel, groundwater is a finite resource—and the Central Arizona Project, Southern Arizona’s 340-mile lifeline to the Colorado River, has been built. There’s no more water coming down the pipe. We huddle on our desert island, clinging to the cement lifeline snaking across the state, and wonder—I wonder, at least—what happens next. On a Monday morning in September, I am reading a Layperson’s Guide to Arizona Water and I am stopped in my tracks by the dream of cloud seeding. I am a layperson in both senses of the word—neither an unordained member of a church nor a professional academic—but I suppose that the University of Arizona’s Water Resource Center does not intend to confer religious overtones to the subject of creating water in a desert. Water officials predict a very precise 25 percent chance that water supply won’t meet demand within the next 10 years, but we are reassured: “Scholars believe that when the Hohokam population grew beyond its ability to stretch its limited water supplies, the civilization failed. But these early desert dwellers lacked the technological resources of contemporary water managers, and Arizona is now developing new ways to manage and extend this scarce resource.” I scrawl in the margin: But this won’t happen to us, technology will save us! I realize it is the resources of contemporary water managers that allow water to flow freely out of my faucets, but alone in my apartment, it is too easy to criticize human hubris. “One technology is cloud seeding. 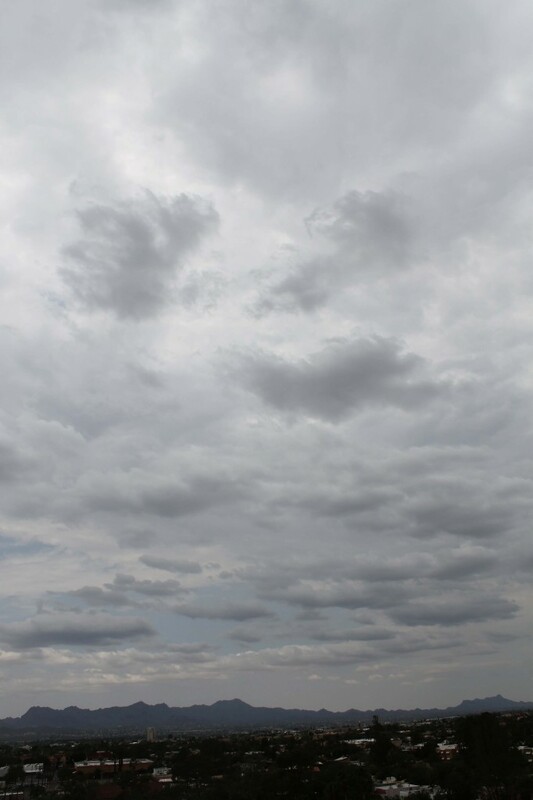 Cloud seeding injects chemicals such as silver iodide into clouds to allow water droplets or ice crystals to form more easily, increasing precipitation.” I have never heard of cloud seeding and I am scandalized—or entranced—by the idea. It’s as if I were not the only wide-eyed seven-year-old who believed in the possibility of man-made rain. I scribble: layperson’s guide?! In July of 1946, at General Electric’s laboratory in Schenectady, New York, chemist Vincent Schaefer was fiddling with supercooled clouds. But it was July and his cloud chamber was too hot. The clouds refused to be super-cooled. Frustrated, he chucked a chunk of solid carbon dioxide—dry ice—into the humid chamber to cool it down. It was like throwing fish food into a pond. Immediately, water molecules rushed around the newly introduced ice crystals and clouds formed where there had been only humid air. Meanwhile, atmospheric scientist Bednard Vonnegut—the novelist Kurt’s brother—was tinkering with silver and iodine and realized that silver iodide had the same lattice structure as ice and thus would have the same effect as ice crystals in clouds. In other words, scientists now had the means to introduce condensation nuclei into clouds, providing a gathering point for the errant water molecules floating aimlessly in the air. Within just a few weeks, scientists suddenly knew how to stop waiting and start raining. Ice crystals—or their chemical counterparts—are the seeds of rain. Plant the seed and, according to laboratory logic, rain should grow. Five months after Schaefer chucked dry ice into a cloud chamber and changed atmospheric science, he attempted his first cloud seeding experiment. He dumped six pounds of dry ice into a cloud near Mount Greylock in western Massachusetts. It snowed. Though cloud seeding has been appropriated by academics at the University of Arizona and elsewhere, it’s hardly the first attempt to stir up rain in the desert. Cloud seeding is technological rainmaking. Starting with the first people who settled here, the Hohokam, indigenous civilizations have practiced elaborate ceremonies to entice the rain from the clouds. We may well dismiss their rainmaking as the religion of a failed civilization, but the Tohono O’odham, another people who have lived off the desert land for centuries, are very much still alive and flourishing, and continue to perform rainmaking ceremonies every year—music, cactus wine, and dancing are the seeds to their clouds. Maybe I am stopped in my tracks on a Monday morning because, contained within this layperson’s guide, cloud seeding feels no less religious to me than a rain dance. For nearly a century before Schaefer and Vonnegut’s big breakthroughs, according to climate historian James Fleming in Fixing the Sky, the U.S. government had already been spending millions of dollars trying to make it rain. James Epsy, who worked as National Meteorologist for the U.S. Army Medical Department in the 1840s, proposed burning thousands of acres of Rocky Mountain forest in order to initiate rainfall on the Great Plains. In the last half of the 19th century, despite the wry assurances by University of Texas professor Alexander McFarlane “that it is impossible to produce rain by making a great noise,” “rainmaking by concussion” enjoyed its heyday in budget allocations and scholarly studies. In 1891, the U.S. government offered a grant to St. George Dyrenforth, a patent lawyer from D.C., to study if a great racket could indeed shake the drops from the sky. Dryrenforth arrived in El Paso, Texas in August with a battalion of mortars, dynamite, and smoke bombs, and began firing at the clouds. The Secretary of Agriculture came out for a demonstration. “The result,” he said, “was a loud noise!” Well after cloud seeding had gone mainstream, in 1963, James Black and Barry Tarmy, two employees of the Esso Research and Engineering Company, published a paper asserting “useful amounts of rainfall might be produced” by “coating a large area with asphalt.” The promise of Homestead Act—rain follows plow—had come of age. Now, it seemed, rain follows asphalt. By the 1970s, the federal government was spending $20 million a year on weather-modification programs. In the 1960s and 1970s, the University of Arizona conducted series of experiments to measure the effectiveness of cloud seeding. After two decades of research, the studies were inconclusive. Cloud seeding didn’t not work, the studies said, but it didn’t really work, either. Or maybe it did, but if it did, it was impossible to measure. One study offered the “inescapable conclusion” that “cloud seeding in the Arizona experiment must have decreased the rainfall in those areas that were far downwind.” Cloud seeding certainly did something. It was just unclear whether or not that something was rainmaking. A scientist or farmer or ski resort operator seeds a cloud; he (it’s usually a he) sends plumes of dry ice or silver iodide into the atmosphere, hoping the chemicals will prod precipitation out of dormant clouds. It rains (or it doesn’t) and you can measure the rain that falls. But how do you measure the rain that didn’t fall—the rain that wouldn’t have fallen, the rain that couldn’t have fallen save for the meddling of a savvy scientist? We seed some clouds, and some clouds rain. But we don’t seed fog (because fog seeding doesn’t work). We seed clouds that seem like they might rain. When the clouds that seem like they might rain do indeed rain, how do we know we had anything to do with it? In 1995, a group led by Eric Betterton, then an atmospheric physics professor at University of Arizona, spent two months seeding winter clouds outside of Prescott and Sedona. Using radar imaging, they saw direct precipitation below a cloud immediately after seeding—proof! seeding works!—but couldn’t track the precipitation down to the ground to verify that the water didn’t simply evaporate back into the dry desert air. Non-proof. Fifteen years after the last cloud seeding study at the University of Arizona, I call Eric Betterton, who is now the head of the university’s Atmospheric Sciences department. “I’m an agnostic,” he says. The Atmospheric Sciences Department at the University of Arizona, the department that Betterton himself heads, owes its existence to cloud seeding. Lewis Douglas, an Arizona Congressman who served in the Roosevelt administration, owned a ranch share in southern Arizona, caught whiff of the silver-iodide snow blowing around General Electric and decided to direct some rain towards his ranch. And why not? He had the clout to convince the Arizona legislature to fund weather-modification research, and they kindly obliged, founding the Institute of Atmospheric Physics in 1954. These days, about 50,000 kilograms of silver iodide are thrown in the air every year to seed the clouds. Stingy clouds above Tucson waiting for a sprinkling of silver iodide. We are desperate. The West needs water, and the Colorado River has never been able to live up to our expectations. In 1922, when the Colorado River Compact was signed to divvy up the water of its namesake, hydrologists measured the Colorado River at an annual flow of 16.4 million acre-feet. They weren’t wrong. They were just supremely unlucky to have measured the river during one of the wettest years in record history—the wettest year in at least a century. The 1922 Colorado River Compact split the river’s annual flow—its mistaken flow of 16.4 million—into two theoretical halves, like a popsicle split between bickering siblings. Half for the upper basin states—Colorado, Utah, Wyoming, and New Mexico—and half for the lower—California, Arizona, and Nevada (and the trickling leftovers went to Mexico). It was a promise no one could keep—least of all the river. Water originated in the upper basin states, yet population and agriculture demanded it in the lower. Since then, upper and lower basin states have been at odds, bickering over the two halves that are quickly evaporating into the heat. Since 1930, the Colorado River’s average annual flow has been closer to 13 million acre-feet. As snowpack in the Colorado Rockies diminishes and high-pressure systems linger over the Southwest, that number threatens to dip lower. Dust storms gather like it’s the 1930s, and drought wrings the desert dry. By now we might as well insert ourselves into the water cycle, as fat raindrops fall into man’s outstretched hands. Raindrops are dumped into irrigation ditches or toilet bowls, scrubbed through wastewater treatment systems, and, finally, cast back to nature, dribbling through concrete-lined rivers towards the sea. What water that does escape to join the evaporation arrow—the arrow that heads back towards the clouds—is labeled a deserter, a subversive. Engineers speak of water that is “lost to evaporation,” like soldiers going AWOL. But of course, water is not lost, nor is it created—there is no such thing as new water. Water simply cycles. In the humid Midwest of my family’s genesis, to waste water is to use it needlessly. In California and Arizona, “to waste water is not to consume it—to let it flow unimpeded and undiverted down rivers,” wrote Marc Reisner in Cadillac Desert. The legacy of the half-century American dam-building bonanza is precisely this attitude: Water is wasted if it returns to the sea unused. “By the late 1970s,” wrote Reisner, “there were 1,251 major reservoirs in California, and every significant river—save one—had been dammed at least once.” In 1901, President Roosevelt was irritated by all the undammed “waters that now run to waste” and demanded they be “saved and used for irrigation.” Today dormant rain clouds hovering over parched landscapes have become those rivers. Those subversive escapees—the water molecules lost to evaporation—taunt us from the skies. The water is there, hovering over us, vaporous and unattainable. As the Colorado River, the lifeline that sustains 25 million people, threatens to wane, anything extra we can squeeze out of the clouds may seem worth its cost. For $15,000, a farmer can buy a year’s supply of silver iodide and a propane-fired generator, no bigger than a snow machine, to pump it into the atmosphere. Most cloud seeding projects begin at this scale, with small groups like municipalities or irrigation districts pooling their resources to invest in the applied science of rainmaking. Eighty percent of the West’s water comes from snowpack, so snowfall augmentation programs are especially popular—and, convenient— for bankrupt cities, as they’re often paid for by thirsty ski resorts. Colorado, Utah, New Mexico, Nevada, California, and Wyoming have supported snowfall augmentation programs for decades. Though it is impossible to measure how much extra water reaches the Colorado River as a result of cloud seeding, that these programs survive when teacher’s pensions do not suggests that someone is convinced they are working. Nevada claims a 6 to 12 percent increase in snowfall due to cloud seeding; California holds theirs at 4 percent. 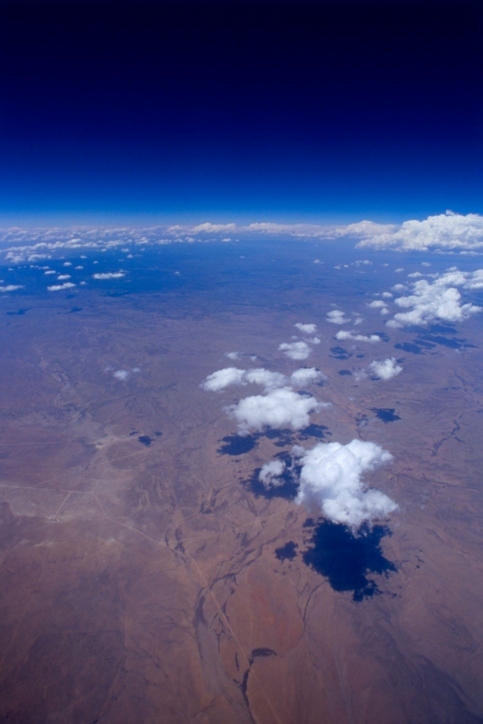 Arizona is in fact the only state in the Colorado basin not seeding its clouds. “I can’t say I know why that is,” said Rand Decker, a professor of civil engineering and water resources at Northern Arizona University. He’s under contract by water interests in the state to facilitate conversations about cloud seeding. “So you might get zero?” I ask. If the saying is true, and water flows towards money, now that all the ground water in the West has been staked and claimed, we have turned to throwing our spare change at the clouds. It is perhaps this sense of futility that has inspired faint glimmers of cooperation. Though upper and lower basin states have been wrangling over Colorado River water for decades, Decker now tells me that “that a number of wholesale water supply entities in the lower Colorado River basin”—like the Central Arizona Project—“are purchasing additional snowpack augmentation capacity in upper basin states.” The logic is like six-degrees of Kevin Bacon—if you seed clouds in the Rocky Mountains, there will be more snowpack, which means more snowmelt, which means that, eventually, somewhere down the line, hopefully, there will be more water in the Colorado River. “If you increase water supplies in the upper basin, it leads to increased chances of having our full water allocation of Colorado River available to us in the lower basin,” says Decker. The chances are erratic—between zero and 11 percent. “But if you do get some more water, are you willing to take that chance…” He trails off. Take that chance. We throw our money at the clouds; a few thousand dollars for the chance of rain seems like a small price to pay. Decker is paid to facilitate conversation and conversation seeds action. If scientists comprise the sect of the agnostics, then the Weather Modification Association—the representative of the people in the business of weather modification—is the church of the seeders. Since 1950, the consultants, scientists, engineers and economists that comprise the Weather Modification Association have promoted the science of cloud seeding, calling the demands for proof by agnostics like Betterton so “stringent that few atmospheric problems”—like global warming—could satisfy them. Cloud seeding is Pascal’s Wager: “God is, or He is not,” French philosopher Blaise Pascal wrote in Pensées. “According to reason, you can defend neither of the propositions… Let us weigh the gain and the loss in wagering that God is… If you gain, you gain all; if you lose, you lose nothing.” Cloud seeding is the wager for rain or the wager against rain. If the status quo is drought, why not wager, even if we still don’t know exactly what happens in a cloud? Atmospheric scientist William Cotton, a world-renowned expert on cloud seeding, writes, “In weather modification experiments, the scientific community requires ‘proof’ that cloud seeding has increased precipitation… such ‘proof’ would include strong physical evidence of appropriate medications to cloud structures and highly significant statistical evidence.” That he includes “proof” in quotation marks suggests he might understand there’s more to be understood about a cloud than its quantifiables, yet he is right: proof is required. A few months after I learn that cloud seeding exists, I am perusing the UA Atmospheric Sciences webpage and see that William Cotton is scheduled to give a seminar at the University of Arizona on November 17. I look at my calendar. Next Thursday. He’s a diminutive fellow, a professor emeritus at Colorado States University who slouches a bit and smiles, joking about escaping the snow of Colorado for the sunshine of Arizona. Cloud condensation nuclei (CCN), he says, “invigorate the dynamics of convection clouds,” and I picture little silver iodide molecules wearing gym shorts and demanding that the water droplets that went AWOL from the Colorado River do push ups and cartwheels to prepare to return to their squadron. Thus invigorated, they are ready to jump. But—always the but—“It was not necessarily the case that increased CCN increases rainfall,” says Cotton, the beam of his laser pointer hovering over a colorful radar graph of cloud densities and precipitation levels. This is 60 years after Vincent and Bednard invigorated cloud chambers at General Electric and still nobody knows if this actually works. What we do know is that humans affect the atmosphere, intentionally or not. A study by Cotton and his group proved the existence of what is known as inadvertent seeding—cloud seeding by accident. While farmers the next state over pay thousands of dollars to inject silver iodide into their clouds, metro-dwellers in Houston, Texas inadvertently send enough particulates into the atmosphere every day that they cloud seed by accident. Houston’s pollution creates a measurable “urban plume” downwind of the city. Particulates from this plume find their way into clouds and, in some cases, catalyze droplet formation. In other cases, however, aerosol pollutants have the effect of “over-seeding” clouds, effectively suppressing precipitation. Though the specific outcomes are still unclear—more rain or less rain—it’s clear that the stuff spewing from our cities—from our factories and automobiles and air-conditioning—affects the clouds on a much grander scale than whatever we dump into them on purpose. Whether we like it or not, we are seeding the clouds. 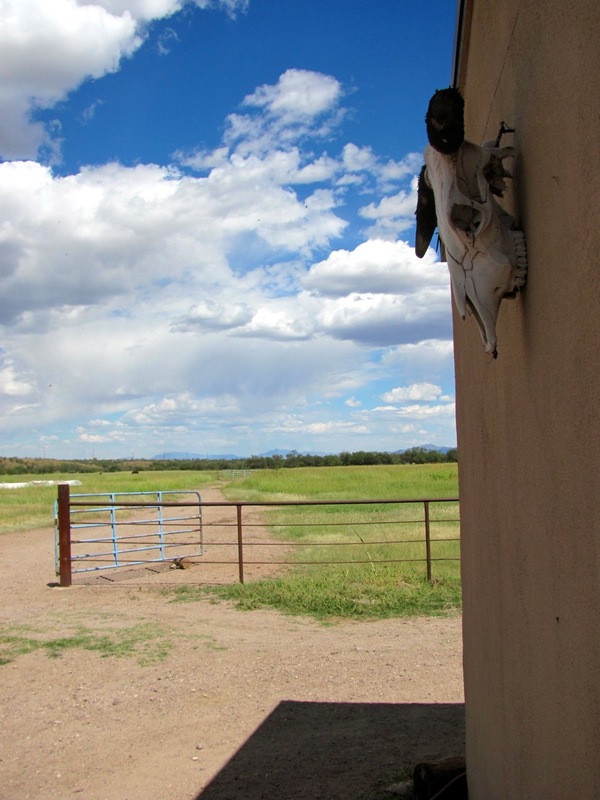 Ranches in southern Arizona are running out of time for patience. Rain dances are rituals, and rituals are more about process than result. A thirsty farmer spends $15,000 on a silver iodide machine, points it towards the forsaken sky, and feels like he is doing something. Rainmaking is an act of keeping faith, and I wonder if cloud seeding is the scientific version of this, if this is what an act of faith looks like in a technological age on a warming planet. I understand the temptation, the allure, to fix the sky—to control the uncontrollable. But the question I expected a simple answer to has yet to be answered: Does cloud-seeding work? “To determine whether or not the atmosphere has responded to outside interference, it is necessary to predict what would have happened had it been left alone,” wrote Petterssen. We cannot predict would have and could have, just as we cannot quantify the rain that doesn’t hit the ground. In the words of Eric Betterton, “People have been trying [cloud seeding] a long, long time and the jury is still out.” Yet a 2001 estimate by the National Oceanic and Atmospheric Administration counted 66 active weather modification programs across ten states. The West needs water. We try to cut back, to be more efficient and turn off our faucets—but change is hard; change requires patience, and cloud seeding could give us water now. Cloud seeding is less about what is than the allure of what could be. Is half-an-inch of rain worth it? Maybe it doesn’t work—maybe we get zero inches instead of 11—but what if it does? What if it rains? There may come a time when proof becomes irrelevant—when we will have to proceed through ambiguity. If it turns out that things are worse than we thought—if carbon-dioxide levels reach an unforeseen tipping point, catalyzing all at once the climate changes that scientists predicted would happen gradually—we will be glad that we had wagered. As Pascal wrote, “You must wager. It is not optional.” Doing nothing is as much of an action as doing something. Increasingly, climate change is something everyone wagers on, even if it is simply by ignoring it. Just as you can’t measure the rain that didn’t fall—“what would have happened”—you can’t measure what we didn’t try. We reach after fact and reason, but we linger in ambiguity. The complexity of clouds eludes prediction, escapes quantification. Water vapor swirls across the desert and settles in our eyebrows and nose hairs. We can’t see it but we know that it’s there. We seed the clouds and hope that it rains. In a drought, why not wager? In the end, seeded water is water just the same. Featured image by Flickr user Nitibob.